I am big fan of the After the Battle series of books and magazines. 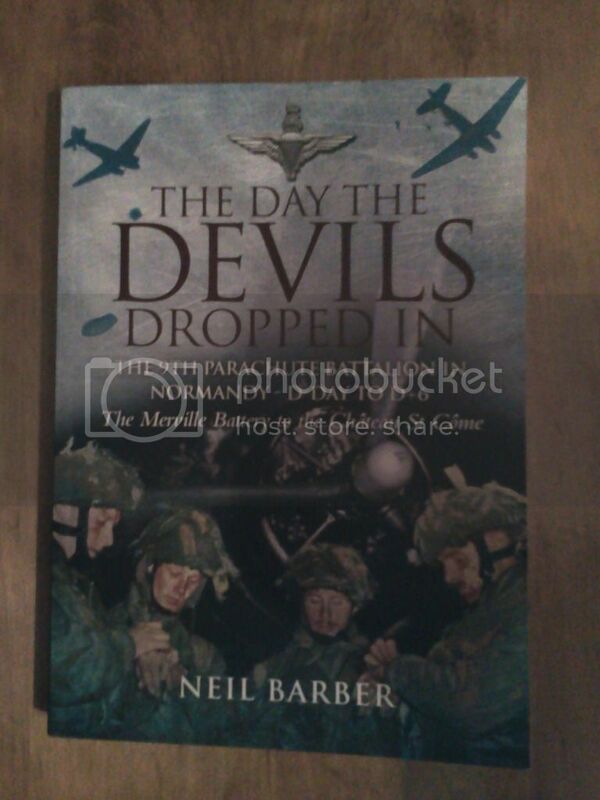 Then & Now books I have previously enjoyed were monster volumes on D-Day and Market - Garden. Panzers in Normandy is a slimmer book at just over 200 pages and can be purchased in hardcover form for around $25. Panzers in Normandy covers the armoured aspect of the fight in Normandy from the the German side. What makes this book different from most is that in addition to the basic figures and facts of the battles, is that it contrasts period photos with more contemporary photos of the locations. As well, it is interesting to see pictures of the post war panzer scrap yard dumps with SdKfz 251's with Allied stars on them. The book is well written with some very descriptive accounts of armoured battles such as Michael Wittmann's encounters with Allied tanks at Villers-Bocage. Also, the book well organized in chapters about each type of vehicle used by panzer regiments in Normandy (e.g. Jagdpanther IV, PzKpfw IV). 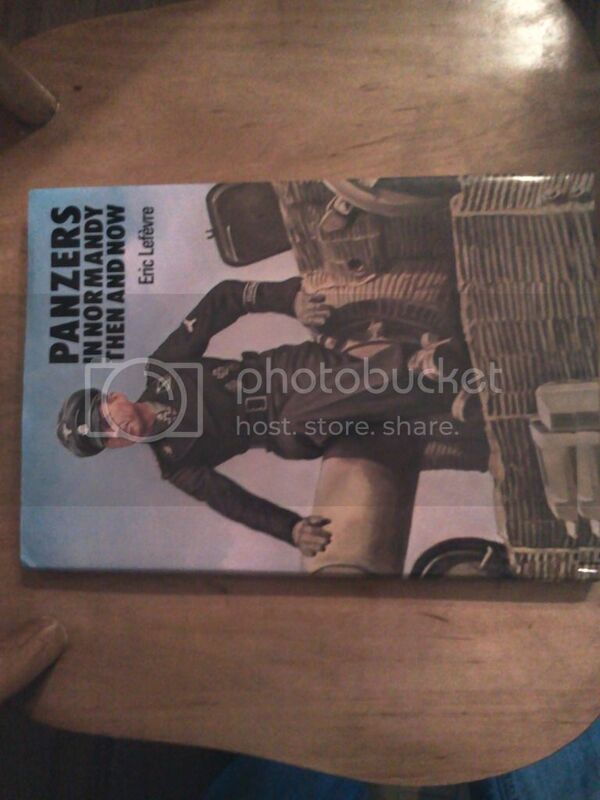 There are a fewl chapters on uniforms and plent of chapters on each panzer regiment in Normandy ( e.g. Lehr, Schwere 503, SS Abteilung 17). It is an enjoyable book, the only drawbacks I could find was that all the photos including the contrast photos are black and white and the contrast photos are a wee bit dated considering the book was first published in the late 1970's. I cannot recommend this book enough for those with an interest in the Waffen SS. Nearly 300 pages with over 1000 colour and black & white photographs. A very comprehensive view of Waffen SS camouflage. A very well researched book. Explains the history of Waffen SS camouflage development in great detail. 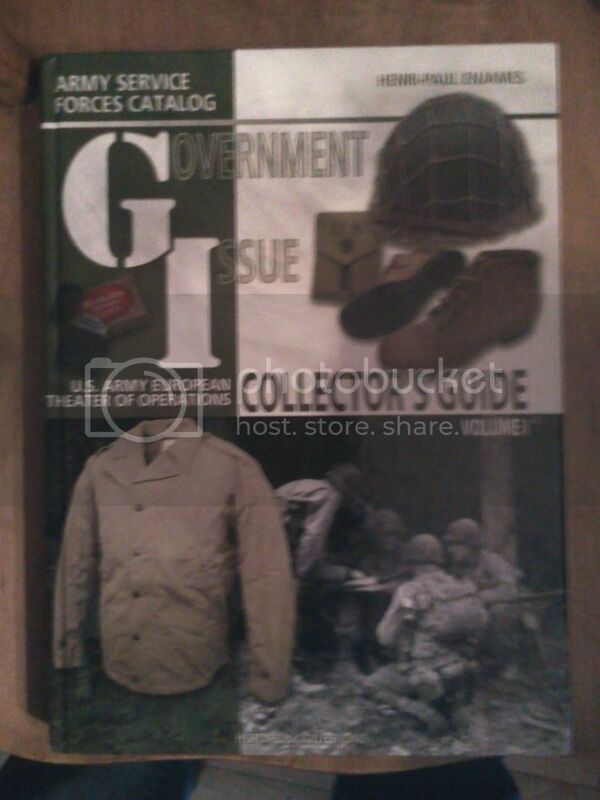 Many of the colour photographs are of mint examples of USGI bringbacks from private collections. Book is organized into well thought out chapters ( e.g. Zeltbahns, Armoured Personnel Clothing, Modifications, Rank Reference ). 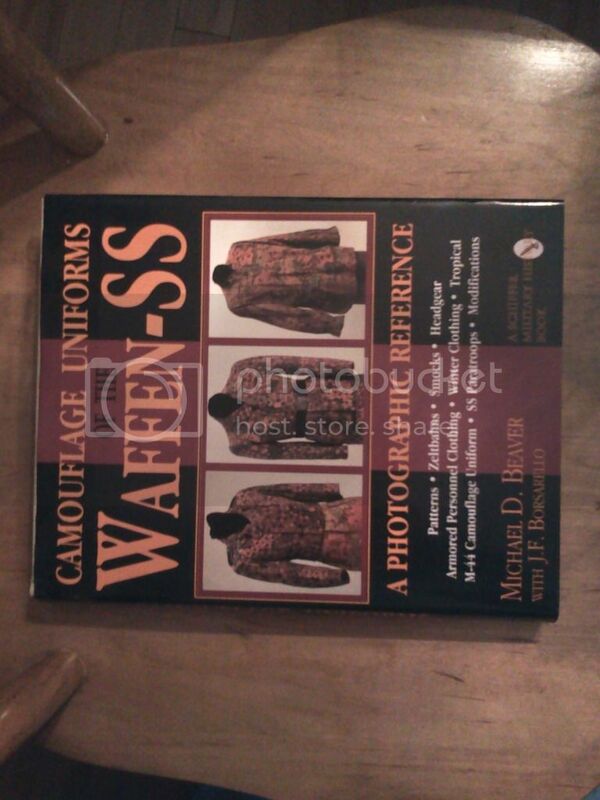 In short a valuable reference book for those interested in Waffen SS camouflage for collecting or reenactment purposes. Great book to refer to when your about to purchase reproduction items. Goes just over $50 on Amazon. 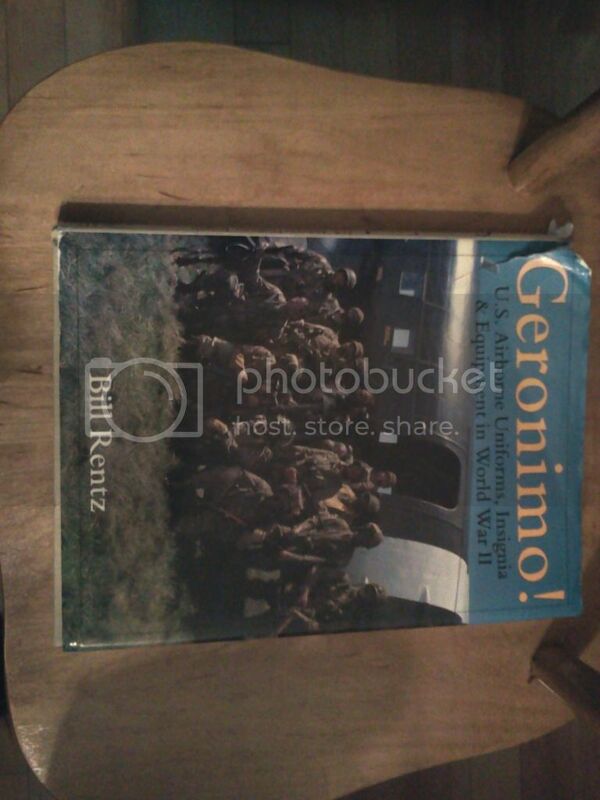 Posted: Thu Nov 01, 2012 11:20 am Post subject: Geronimo! 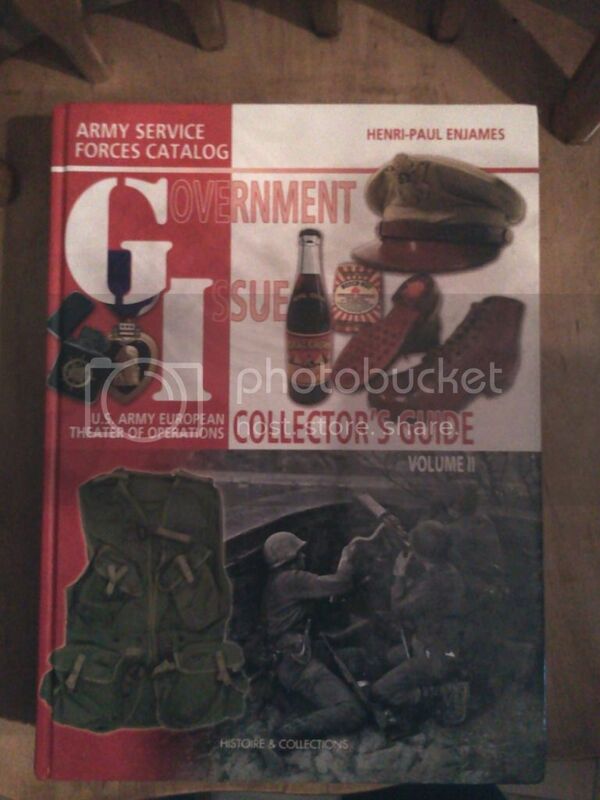 I have had this book for ages, well before I purchased my 101st kit. A decently researched book containing several hundred photographs, many of which are up close images of period equipment and uniforms. The book is organized in well thought out chapters. The chapter on M42 jump jackets and pants is excellent. Many photographs of period modified M42's (silk camouflaged parachute lining in M42 jackets). This book is more of a photographic reference than anything, there isn not much text to read. The book is pretty spot on for accuracy with the modern photos of reenactors. The only reference "error" I clearly noticed was a M3A1 folding stock on a M3 on a Normandy bound 82nd reenactor. Chapter 9 which is a comparison chapter in regards to Fallschirmjager and British Paras is brief and possibly unnecessary. An very good book for those with an interest in WWII US Airborne for reenacting purposes. An excellent book with many first hand accounts from surviving participants. Really puts in perspective the huge role that paratroopers had in the early successes of the Normandy invasion. Period photos of the surviving participants and those mentioned in their retelling of events assist in making a mental picture of the events. Very well written, excellent retelling of events. The chapter about the accidental bombing of the 9th is quite chilling. Hard to put down. Read it in two days. Quick review. Looking to add a bit of kit and your are not sure if it was used in the ETO? These volumes will most likely answer the question. Well researched. Excellent photos of all kinds of items. No repros in here. Highly recommended if you collect original items. Unfortunately every time I look at these books I find something new that I want to buy. Excellent books but they make me want to collect more kit. This book is excellent. Research is top notch. Photographs are excellent, a lot of which you won't find on the web. Many first hand accounts from surviving participants. The chapter in regards to the 502nd in Carentan is an especially worthwhile read. 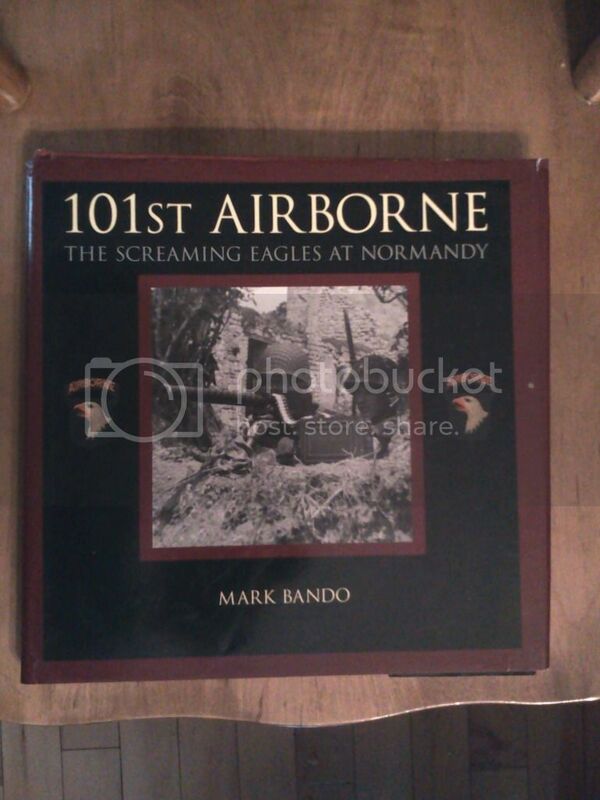 Excellent book for reenactors if you are intetested in what was commonly worn by the 101st at Normandy. There's a lot of kit out there that should just stay home.